The cheapest CCTV camera would very likely be one that was wired and fixed in position. If you’re focusing on price and price alone, the chances are you could buy this sort of camera very cheaply indeed. But would it offer you the scope and service you really want and need? 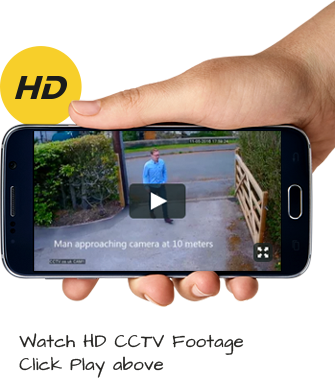 CCTV cameras capable of movement are usually a far better choice in many situations. Here, we’ll discover three big reasons why you should consider these cameras above all others. If you buy and install a fixed camera, there is a set limit to the scope it can offer. The only way to take in a new area would be to physically move the camera. Modern cameras have pan-tilt-swivel capabilities, and that means they can cover a far wider area, even though they are still mounted in one place. Many people are surprised at the increase in scope offered by a camera that is built to include these capabilities. You may find you can cover your entire rear garden with just one camera, for example. It’s perfectly possible to move the position of your cameras from your computer, or wherever they are set up at home so you can monitor the feeds from each one. But you can also move them no matter where you are. Today’s digital CCTV cameras mean you can operate them remotely. All you need is an internet connection, and a device that allows you to view whatever footage your camera is recording. And if you have multiple cameras, you can view the footage from each one in turn. This even works if you’re in another country… or on the other side of the world. You’re always in total control. With greater capabilities offered by each CCTV camera you buy, you can see how you’ll probably need fewer cameras in all. One modern camera could cover the same ground two older cameras would cover, giving you the chance to save some cash in the process. How easy is it to get a free no-obligation quote for CCTV cameras? Very easy! Just call our team of experts today on 0800 211 8310 and find out how affordable your new CCTV cameras could be. We’ve got the expertise and advice you’re looking for. Before CCTV I did not feel very safe, but after installation I do! It gives me great peace of mind and security to know that the protection of CCTV both at home and at work is there.